Is the Elf on the Shelf part of your holiday tradition? If so, you might want to take caution after one stuffed toy had a close call. The Dublin Fire Brigade tweeted this photo of the Elf who got injured on the job. The tweet states, "Close one for this #ElfOnAShelf after she ended up on a lamp. The householder had done the right thing & purchased one with a CE mark. The Elf resisted heat for 40 minutes. Keep all decorations away from heat." Another incident happened in Canada. Barrie Fire in Ontario also shared several pictures on Twitter of some elves who have gotten singed on the job. 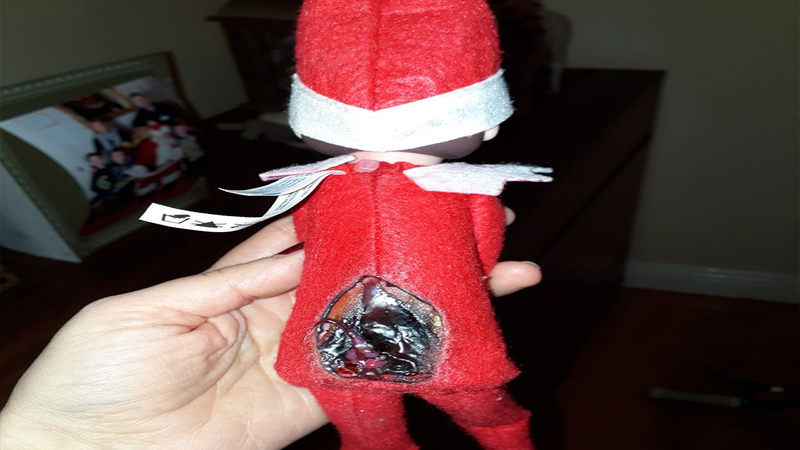 This is a good reminder not to have the Elf on the Shelf sit on any kind of lights, lamps, or get too close to an open flame. Sometimes, he finds a good hiding place near the oven, so you might want to move him if that happens. When it comes holiday decorations, safety is key. The Consumer Product Safety Commision has these to make sure your holiday stays injury free.